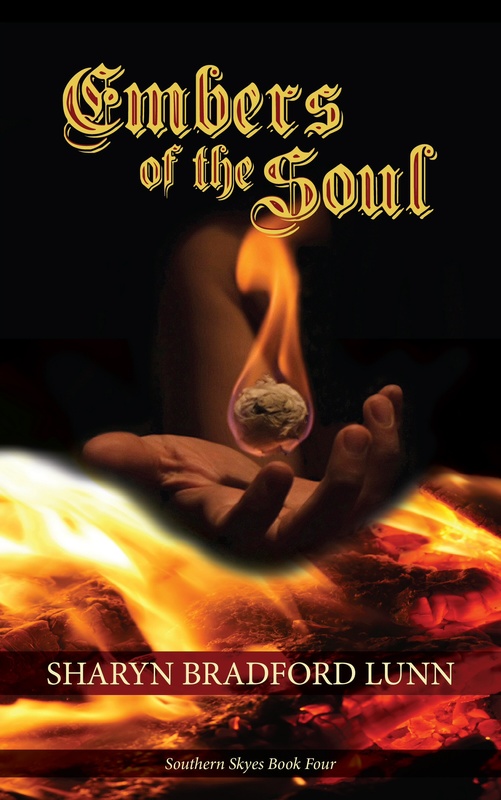 In celebrating the upcoming release of book four in the Southern Skyes series, we’re offering a free autographed copy of “Embers of the Soul” to our lucky winner (worldwide airmail). The runner-up will receive a free ebook. Well folks, it’s back to the drawing-board with regard to the title for the fourth book in the Southern Skyes series because the name I originally selected, “Burnt Wattle”, has proven to be somewhat inappropriate. Since choosing the name I’ve learnt that “wattle” doesn’t always mean what we here in Australia generally consider it to mean. 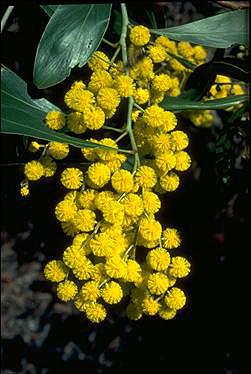 Golden Wattle is the floral emblem of Australia, hence most of us Down Under think of wattle as a medium-sized acacia tree with very fragrant, intensely yellow flowers in globular heads. 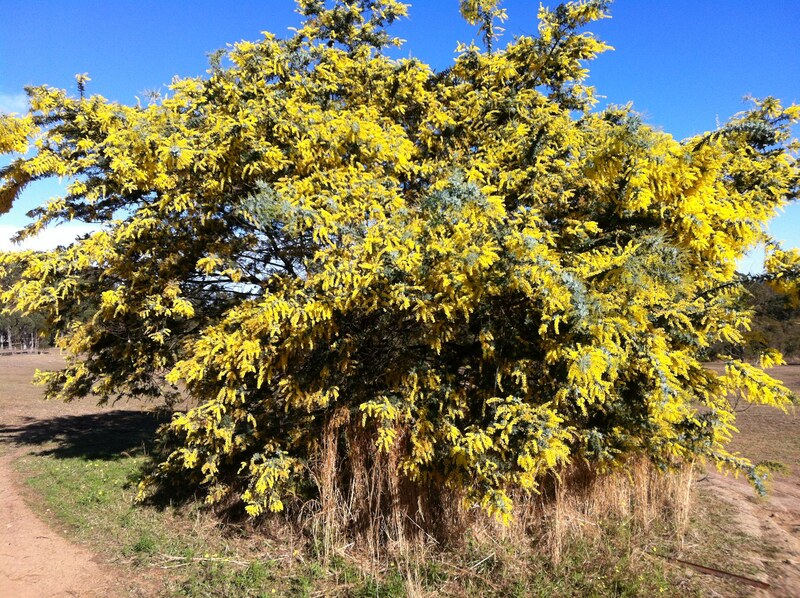 Another definition of “wattle” with which we are mostly familiar relates to a construction of poles intertwined with twigs, reeds or branches, used for walls, fences, and roofs. Hence wattle-and-daub; a method our pioneer forbears often used. But these definitions are far from universal . . . and therein lies my problem. In North America a “wattle” is recognised as a fleshy pendulous process, usually about the head or neck (as of a bird, e.g. a turkey) or around the chin and stomach of some unfortunate humans as they age, the latter sometimes also being called a “lappet”. So, now, when we think of “Burnt Wattle” in that light, it does tend to bring forth a smile and a chuckle. Watch this space for the new title of book four in Southern Skyes. While New South Wales burns . . .
Last Thursday I rediscovered my mojo and managed to write a few thousand words on a half-finished novel destined to be the fourth book in the Southern Skyes series. Feeling rather pleased with my output I made myself a cuppa and blissfully sat down in front of the TV to catch up on world news . . . AND was I in for a shock! Images of the state being consumed by fire flashed across the screen . 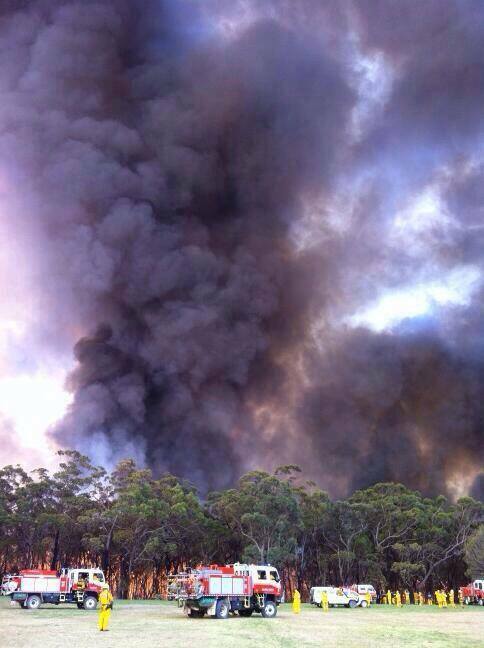 . . the worst fires the state of New South Wales have experienced on a decade . . . all while I’d been playing with words. It made me realize just how far removed from reality we can sometimes get. People were losing their homes and possessions while I’d been ensconced in my make-believe world of historical fiction, oblivious to all but my creative thoughts. 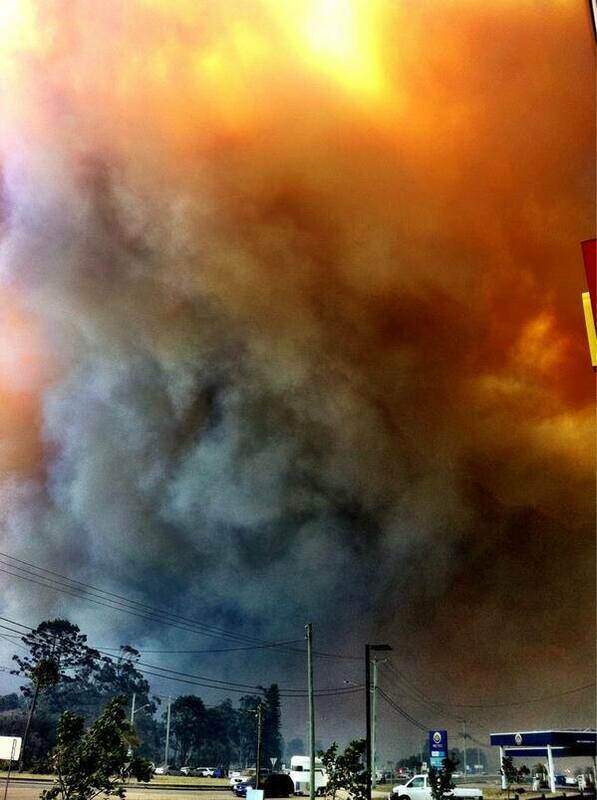 Today it was announced almost 200 homes have been lost in the Springwood and Winmalee areas in the Blue Mountains west of Sydney, which is just one of the areas experiencing bushfires. The Rural Fire Service said 193 properties had been destroyed and 109 damaged. My thoughts go out to all those who have been affected . . . the traumatized and grieving families, brave but exhausted fire-fighters, lost and frightened pets, injured livestock and scared, homeless wildlife. It’s a terrible time for all and I count myself lucky to be living some 100 kilometers from the worst of the fires, but it’s in time such as these that Australian come together to support those in need . . . that’s one of the things that makes Australia such a wonderful place – the camaraderie, or the mate-ship that is so embedded in the Aussie psyche. 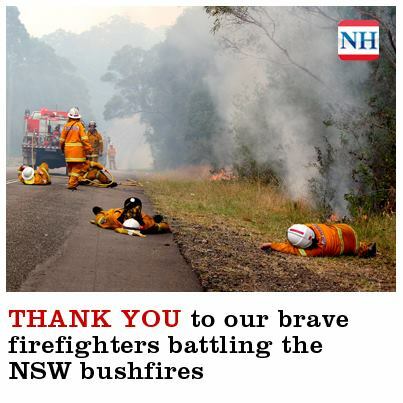 We have much to be thankful for in the way volunteer services, charities and communities pull together in times of need, but beyond all I thank the brave men and women of the NSW Rural Fire Service who put their lives at risk to save the property and lives of others. Their immeasurable contribution is above and beyond what could ever be repaid. It’s a bit weird that only last week I decided on a name for this fourth book I’m writing and find it somewhat incongruous, and a little disquieting, that the title I select was “Burnt Wattle”. 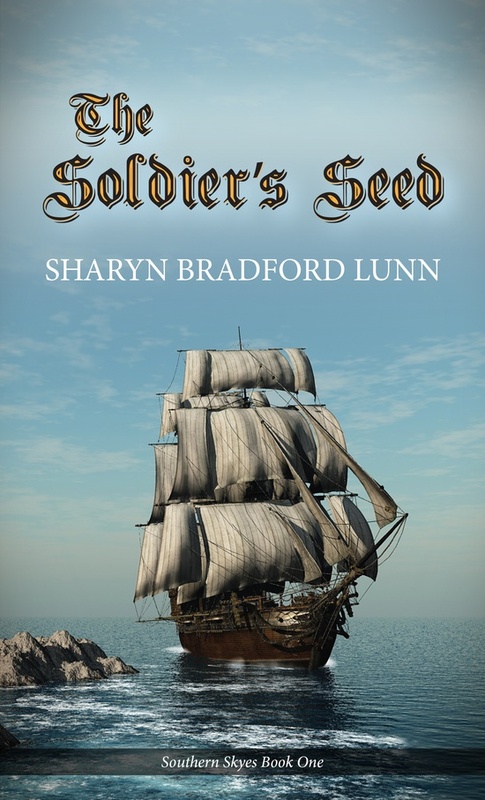 This is the cover for “The Soldier’s Seed” – Book 1 in my “Southern Skyes” series which was published in July, 2012. I’m so pleased with how it turned out and very excited about the book’s upcoming release in print. Many thanks to Janet Green at thewordverve inc, Cheryl Bradshaw Bob Houston and Robin Krauss of Linden Design for their help and patience.